Archaeological evidence shows that the first city to be built across the world – Harappa – came up in the Indian subcontinent around 2850-2900 BC. The word Harappa sounds similar to the names given to divine figures in south India. Mallappa, Beerappa, Veerappa, for example. In Kannada and Telugu speaking regions, names ending with “Appa” are very popular among the Shudra and Dalit communities. Names like Mallappa and Beerappa are now names given to godheads that cattle rearing and agrarian communities believe in. 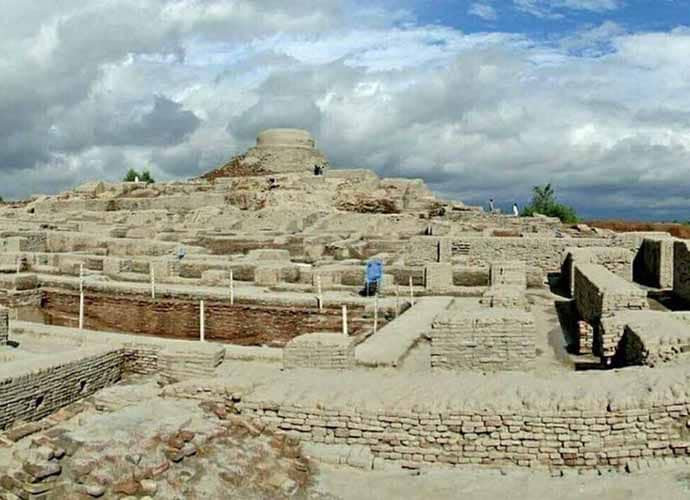 The civilisation that started taking shape in Harappa soon spread to the cities of Mohenjodaro and Dholavira. While this civilisation spread along the river Indus, no such civilisation developed around the Ganga. We don’t know if even villages exited in the Ganga region when cities were coming up in the Indus region. In those times Agni could not have been seen as a source of energy used for cooking but could have been seen as the most powerful agent to harm the enemy by burning his/her resources – houses, cattle, crops, grain and other resources central to life. The other natural agent worshipped was Vayu (wind). ← Who built the Indus Valley Civilisation?